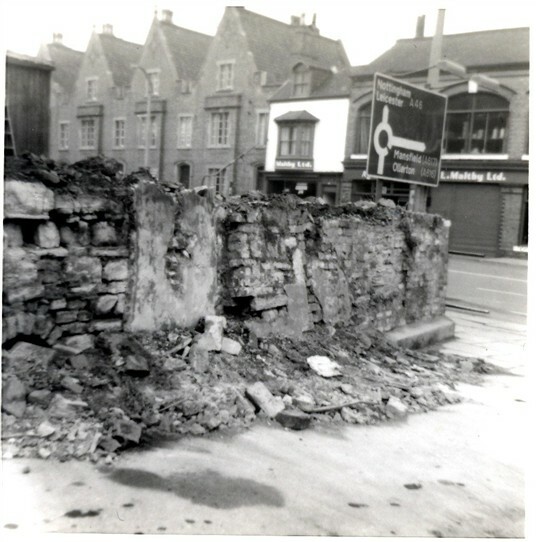 On the widening of Bargate, remnants of medieval walling were exposed, as shown. This proved that Slaughterhouse Lane lies on the line of the medieval Town Wall. Later investigations found extensive remains of the wall and an earlier earth rampart and ditch were found (see Thoroton Society Transactions Vol. 97 1993 for a more detailed account). 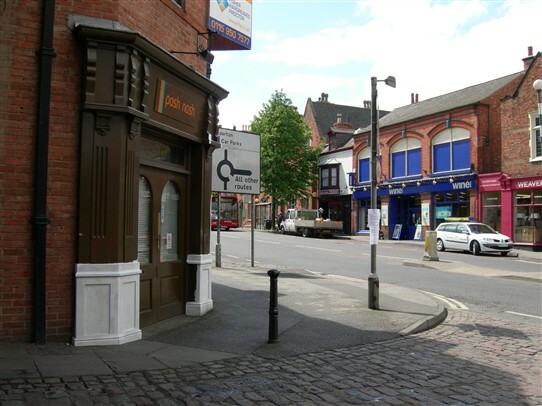 Modern view sees a busy, vibrant thoroughfare. This page was added by Jill Campbell, Nalhs Newark on 07/12/2010. When would the top picture have been taken? Either the 1960s or early 70s! Can't be more specific than that! There were two excavation times - 1961 by Prof. Barley, or Malcolm Todd's dig in 1972.